Here is the list of the nation’s top corporate wellness companies and why they are the best. Throughout the past year WellSteps has been involved in the wellness vendor selection process in work sites in every state. 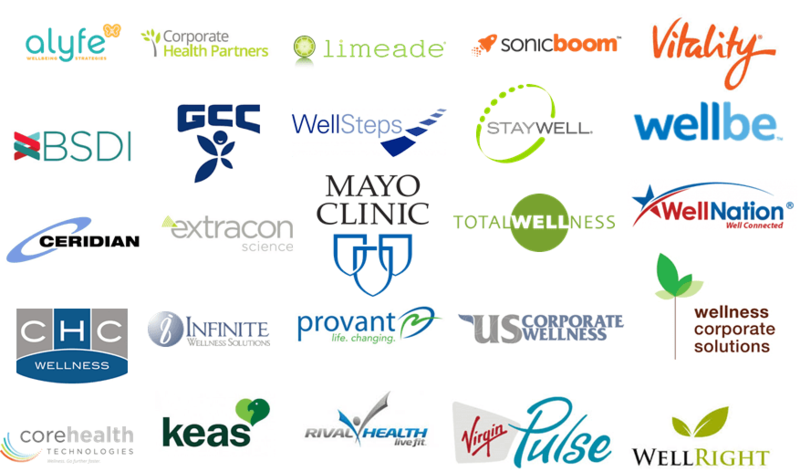 We’ve kept track of the corporate wellness companies that provide comprehensive wellness solutions. There are more corporate wellness companies than ever, but this list has the special ones. This list is of corporate wellness programs that have consistently been finalists in some competitive vendor searches. To make this list of corporate wellness companies, each company had to be a finalist on one or more corporate wellness contracts. They have survived a rigorous and thorough vetting process and demonstrated comprehensive wellness solutions that can engage and motivate employees. Unlike biometric screening or coaching companies, these vendors offer more than one-off programs. Most of them offer comprehensive wellness platforms. Most of them offer web platforms and mobile apps to help deliver and administer their programs. This list is by no means a comprehensive list of all known corporate wellness companies, but it does represent 25 of the best. With this list you can now use the guidelines found here to help you choose the best wellness vendor. Alyfe Wellbeing Strategies utilizes a whole person approach to employee wellbeing. When individuals discover a deep-rooted purpose for living, they are more likely to take action and find sustained wellbeing. This is the idea behind designing programs that use the power of purpose to motivate employees. With evidence-based solutions that are steeped in best practices and proven design. Alyfe empowers individuals in all aspects of their wellbeing and can do so onsite, online, or telephonically. BSDI is an award-winning leader in health promotion technology located in Califon, NJ. With a focus on advanced web technologies and sophisticated data analysis, BSDI has proven attractive to progressive corporate, government, hospitals/health systems, brokers, wellness consultants, fitness professionals, commercial health and wellness facilities. They take pride in 25 years of experience producing feature rich, flexible technologies that cultivate daily lifestyle habits to improve population health. Click here to request a demo. LifeWorks is delivered to you by Ceridian, the world’s leading provider of workplace effectiveness services. For over 25 years, Ceridian has been helping thousands of companies create more productive, enjoyable workplaces through a wide range of assistance and training programs for employees and management. Their solution covers all aspects of employee assistance, wellbeing, recognition, social communications, rewards, perks and analytics. Click here for more information. Based in Chicago, CHC engages high-performance companies in a partnership to understand the health-and-work behavior equation. CHC Wellness provides proven strategies to manage controllable health risks, therefore reducing health care cost, improving employer productivity and decreasing the demand for health care services. Their solutions are driven by the analytics of population risks and behaviors. To learn more about their proprietary solutions to common health risk factors in a workforce click here. An all-in-one corporate wellness platform trusted by wellness providers for 2+ million employees worldwide. CoreHealth brings all corporate wellness programs into one place. Health assessments, biometric management, education, challenges, self-help programs, coach facilitation, incentives, surveys, social networking — and more. Organizations trust CoreHealth because they provide the technology only and leave the health and wellness programs to you, the wellness expert, making sure that your ideas and innovations are safe, secure and protected. Customers can also integrate the platform with CoreHealth’s growing network of third-party, best-in-class wellness partners with over 140 unique wellness innovations – mix and match or use your own. CoreHealth powers wellness programs for corporate wellness companies, insurers and their wellness divisions, health coaching companies, employee assistance providers, group benefits brokers and human resources consulting firms. Visit the CoreHealth website. Extracon’s programs work with your employee’s doctor, and the smartphone in the employee’s pocket, to deliver better prevention and real lifestyle change. The programs are designed to reward employees who work with their doctor to improve biometrics and close prevention gaps. Extracon focuses on same-year improvements, instead of waiting for the next year’s screening. Their programs also include app-based tracking of steps and weight, with rewards for employees who make validated changes in lifestyle. Click here to visit their website. Inspires change by addressing health, well-being, and performance all in one platform. Drive organizational change by addressing core business goals and individual employee needs. They tailor the platform so your program reflects your strategy with targeted rewards, communications and challenges. This gives you one place for all of your health, engagement, and culture-building initiatives. How it works: let employees set their vision, foster awareness, inspire action, and see results. Read more here. MeYou Health is a comprehensive digital wellness program that uses realistic small actions and supportive online communities to educate and propel change. 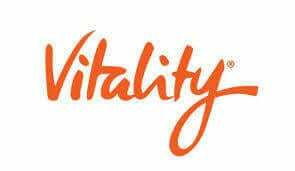 The program is inexpensive to acquire, simple to operate, and helps people move more, quit smoking, and improve overall well-being. Learn more here. Provant, a wholly-owned subsidiary of Hooper Holmes, Inc., is a leader in comprehensive workplace well-being solutions with a growing, global presence. Provant partners with employers and brokers to improve member health and productivity and support healthcare cost management. Provant touches millions of lives by delivering customized well-being strategies and services on-site, telephonically and digitally, utilizing advanced data management technology. Read more on their website. StayWell is a health engagement company that helps clients engage and educate people to improve health and business results. They bring decades of experience working across the health care industry to design solutions that address the clients’ evolving needs. They fuse expertise in health engagement and the science of behavior change with an integrated portfolio of solutions and robust content assets. The customizable programs are proven to effectively engage people to make positive health care decisions—across even the most challenging populations. They offer you diminished health costs, accelerated group participation, increased patient acquisition, better health outcomes and unprecedented program satisfaction. Get to know Staywell by clicking here. No matter how large your organization might be, TotalWellness can offer customized health and wellness services that help you deliver better programs to your employees. Services include biometric screenings, flu shots, and wellness services. Using TotalWellness you’ll see a decrease in employee absenteeism and increases in productivity, safety, and focus. Plus, they’ll become better moms and dads, improved contributors to their communities, and help drive enhanced outcomes for your bottom line. Read more here. need to be successful. US Corporate Wellness is one of only 9 select firms to earn full accreditation through URAC as a Comprehensive Wellness Provider. This provides you with a higher level of confidence that your personal recommendation will stand tall. Learn more about US Corporate Wellness. Virgin Pulse, the leading provider of technology solutions that promote employee engagement and wellbeing and a part of Sir Richard Branson’s Virgin Group, helps employers create workforces that are happier, healthier and ultimately more productive. The company’s modern, mobile first platform delivers a personalized user experience. By helping employees thrive at work and in all aspects of life, Virgin Pulse is helping change lives and businesses around the world for good. WellBe is one of the most innovative and effective providers of Employee Health and Wellbeing Solutions. They leverage expert and passionate staff with best in the business strategic partners. Wellbe shows tangible and ultimately profitable results as they support and enable businesses, communities and individuals to be healthy, energetic and productive. Read more on their website. Wellness Corporate Solutions is a state-of-the-art provider of biometric screening services and comprehensive wellness programming. They create customized, high-touch annual programming that emphasizes health education and promotes lasting behavior change. These also include health coaching, 8 week long campaigns, wellness challenges, and much more. 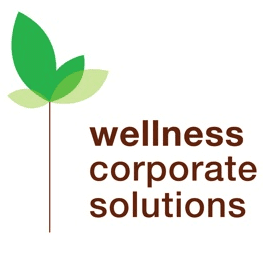 Check out Wellness Corporate Solutions here. WellRight is a complete wellness program platform that powers custom tailored, positive habit-forming employee wellness programs. WellRight offers all the essentials: health risk assessment, group challenges, personal challenges, custom activities, biometrics, health coaching, university, rewards engine, and reporting. How each of these are incorporated into your wellness program is entirely your choice, although their team will coach you on best practices towards a successful outcome for your organization. Explore more about WellRight. WellSteps corporate wellness solutions are guaranteed to reduce employee health care costs and improve employee health. As the winner of the latest Koop Award, the WellSteps wellness platforms have been identified as the nation’s most effective corporate wellness program. With so many wellness vendors to choose, from why not demo the one that has been identified as the nations’ best. Schedule a WellSteps demo right now.